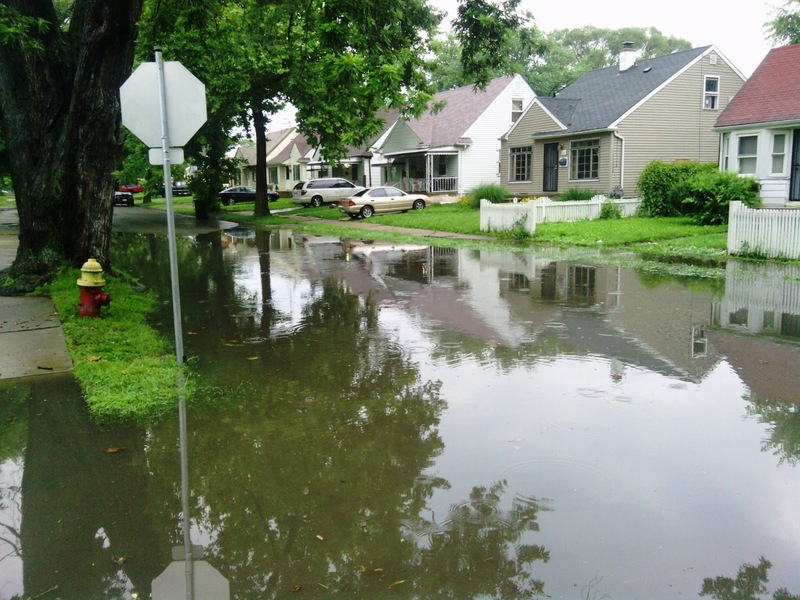 A heavy rainstorm roared through the Detroit area, late this afternoon. A large section of the Southfield Freeway in Dearborn was completely flooded, leaving several motorist trapped inside of their cars until helped arrived, as The Detroit Free Press already reported. In the Warrendale neighborhood, the storm was a particular challenge on streets where the storm drains were clogged for one reason or another. Mansfield Street at Paul Street, for example, has not only the street itself flooded but also the sidewalk. Additional photographs of this are available on my Flickr account.